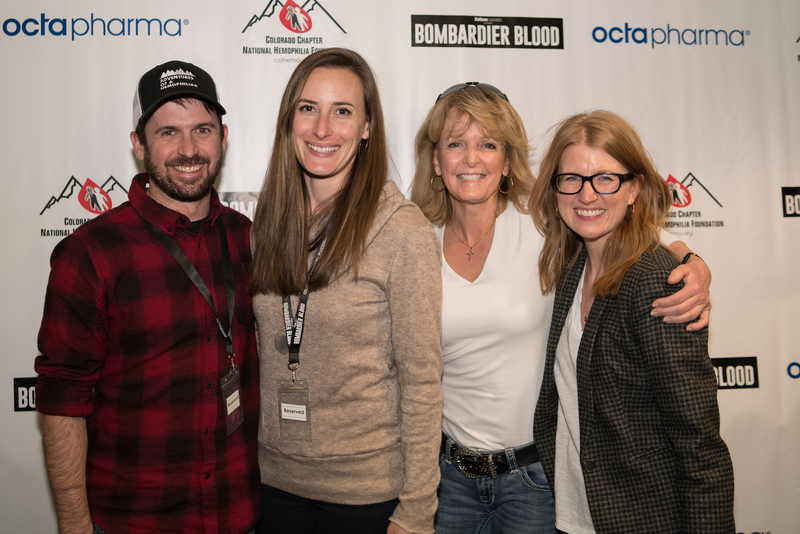 DENVER (December 4, 2018) - Colorado mountain climber Chris Bombardier, the first person with hemophilia to climb Mount Everest and the Seven Summits, was back in his hometown this past weekend to present Bombardier Blood, the documentary on his incredible journey sponsored by Octapharma USA. The sold-out screening was hosted by the Colorado Chapter of National Hemophilia Foundation (NHF). "Bombardier Blood is incredibly moving and inspirational, and ultimately a call to action for the bleeding disorders community," said Octapharma USA President Flemming Nielsen. "We all come away from the movie just awed by Chris's achievements, but, more importantly, we all come away knowing that anything is possible for people with bleeding disorders. We want the bleeding disorders community to continue to Dream, Do, Grow." "Dream, Do, Grow" is Octapharma USA's patient outreach program for people with bleeding disorders. As the name suggests, Octapharma's vision for this program is to inspire patients to set a goal they can achieve, take action on the steps required to reach the goal, and grow and gain confidence from the experience. "It was extremely exciting to share this film with the Colorado bleeding disorders community," said Bombardier, who was joined by friends and family for the Denver screening at a local theater. "This community has supported me in countless ways and sharing this journey with them was incredibly special." In addition to the documentary, Octapharma sponsored Bombardier during his successful quest to climb both Mount Everest in Nepal and Mount Vinson in Antarctica. The bleeding disorders community received an exclusive screening presented by Octapharma at the recent NHF annual meeting, which drew a standing room only crowd that was visibly moved by Bombardier's quest and the artistry of the film directed by Patrick James Lynch, a filmmaker with severe hemophilia. Lynch said he expects the documentary will be released to the general public in 2019. "We always had a fear that Chris's climbs wouldn't resonate with the community," said Amy Board, Executive Director of NHF Colorado. "All of us were so moved to witness how much Chris's journey mattered. Experiencing the emotion, knowing he climbed for all of us, every person affected by and through bleeding disorders. There was such a special anticipation of showing this film to his hometown community. He truly is our hometown hero. He showed us that by putting one foot in front of the other, we can achieve anything." Headquartered in Lachen, Switzerland, Octapharma is one of the largest human protein products manufacturers in the world and has been committed to patient care and medical innovation since 1983. Its core business is the development and production of human proteins from human plasma and human cell lines. Octapharma employs approximately 7,100 people worldwide to support the treatment of patients in over 113 countries with products across the following therapeutic areas: Hematology (coagulation disorders), Immunotherapy (immune disorders) and Critical Care. The company's American subsidiary, Octapharma USA, is located in Hoboken, N.J. Octapharma operates two state-of-the-art production sites licensed by the U.S. Food and Drug Administration (FDA), providing a high level of production flexibility. For more information, please visit www.octapharmausa.com.